A recent study at the University of Pennsylvania found that the dog breed that bites the most is the Chihuahua. While being the smallest of dog breeds, Chihuahuas tend to be the most aggressive. Their aggressive temperament is based in fear and their tendency to overreact to things given their small size. The dog owners best way to deal with the aggressive behavior is to desensitize the dog from the things that it perceives as bad and scary and reward the dog positively for good behavior. As with any other animal, care and caution should be taken when approaching. If you do get bit, you may need a dog bite attorney. Avoid coming in contact with a dog while running or if you are angry or yelling. Try to avoid dogs that you do not know, especially if they are off leash and the owner is not nearby. Avoid direct eye contact with a dog, especially if you are unfamiliar with the animal. Ask the dog’s owner permission before approaching. Allow the dog to first sniff your hand before petting. Use caution but do not display fear. Try to ignore or avoid the dog. Do not engage the animal. Don’t try talking to the angry dog. Slowly turn your body away and to the side. Try to get a barrier between you and the aggressive animal. Try to find a higher ground to the animal. If the attack is imminent, if you can throw a blanket , towel, shirt or jacket over the dog’s eyes, it will momentarily disorient, distract and disengage the dog, allowing you the opportunity to escape. Apply pressure to the wound. Elevate the injured body par. Bandage the wound with a sterilized gauge bandage. Get information about the dog and its vaccination history from the dog owner. Get contact and insurance information from the dog’s owner. If warranted, contact animal control and file a report. Consider contacting a law firm such as the Law Office of Frederick S. Schwartz who is experienced in handling dog bite and animal attack cases. 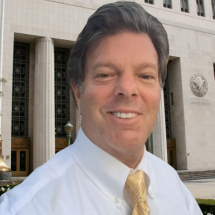 Call us today at (818) 986-2407 and let Fred, a California dog bite attorney.